it Appeared in my F/B timeline and thought to put it here. Are you one of those customers that have paid between $10 and $199 per High-Def Stock Video?  Stop Doing that because there is something Bigger, Better and Cheaper. Introducing StockNation: A Hub for 25,000+ HD Royalty Free Stock Videos. No Monthly Fees, Unlimited Downloads, One Time Cost, Searchable SAAS App. It's time to Crush your competition by using these High Definition 25,000+ HD Royalty Free Stock Videos in your work starting today. Get your Copy Today by clicking the Link Below! Taking a look at their page, and doing a little digging, it appears to be stolen content. In addition to the style of the sales page, style of testimonials, domain name, fact their servers appear to be in panama, use of name servers, etc which all would indicate a bit of a shady site. Appears that they've ripped off content from pixbay (where authors provide content for free), and are reselling it, but might even have been taking from sites like motionarray & envato elements, where they recently devalued authors work as well (so in essence, it's like $0.50/$1/video, etc from those sites too). 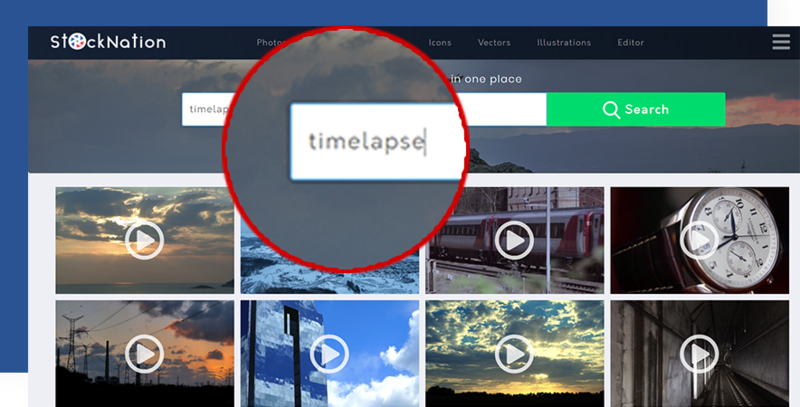 Even though some of the content appears to be from pixbay (https://pixabay.com/en/videos/list/), and they allow 'free' commercial use, the license does not allow for simply repackaging/reselling as stock photo. So you might contact them, see if they can do something about the stolen content. However, they only have about 7,000 free videos. So... that's another 14,000 unaccounted for, probably taken from the other sites mentioned above. This site was started 2018. Various 'samples' appear to be have been produced/used way before that. I.e., looking at the sample images in their sample "searchable database"
It might be worth a few people signing up just to see if their content is there. There's a few things that can be done if they are selling your stolen content. Wow. Thank you for the effort time to research in that depth. They haven't stolen anything from me. But I wondered for the 7 clips for 1 cent, offer. If it was a low in the market or something else. Reported the ad (from page "high on M" (India)) as misinformation. P5 - Is it worth to offer different video resolutions? Bad Behavior has blocked 67573 access attempts in the last 7 days.